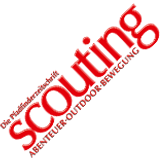 Some believe that WOSM and its national associations have strayed from Baden-Powell’s concepts of Scouting. Some object to WOSM’s one-national-Scouting-association-per-country policy (which forces multiple national Scouting associations either to merge, or to create an umbrella federation to represent them in WOSM). Some desire to use B-P’s Scouting for Boys and his original 1908 program and uniform to the maximum extent possible, making only those minimal changes required by modern safety, health, or environmental concerns.